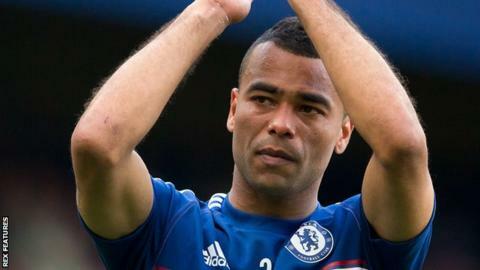 London-born Cole was described by Lampard as the "best English left-back of the recent generation", and has enjoyed a career laden with trophies. "He's a fantastic player, a quality left-back, and he also brings great experience to the dressing room," Lampard told the club website. "I know him very well from our time together at Chelsea, and with England, and I also know what he can bring to the group and the influence he will have. "Ashley is in good shape, which doesn't surprise me because he's an excellent professional, and he will compete for a place in the side like every other player here. "I've made my feelings known over the last couple of days just how highly I think of Ashley and I have no doubt whatsoever he will be a positive addition to our squad." Cole joins a Derby side pushing for promotion to the Premier League, with the Rams sixth in the table after Saturday's win against Reading.